Innocent looking, aren't they? No trouble at all, as long as they are asleep. Both Tink (front) and Cass (back) have an unhealthy fascination with computers. They especially like to walk across the laptop (particularly if I'm using it) and if possible sit on it. Tink just walked across my keyboard on his way from A to B (in fact the arm of the sofa to the favoured spot next to me). 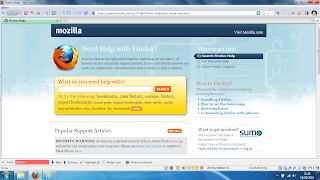 As he went he managed to press a sequence of key... result, somehow Firefox was put onto full screen (and then some). I sat randomly pressing keys until the screen returned to normal service. 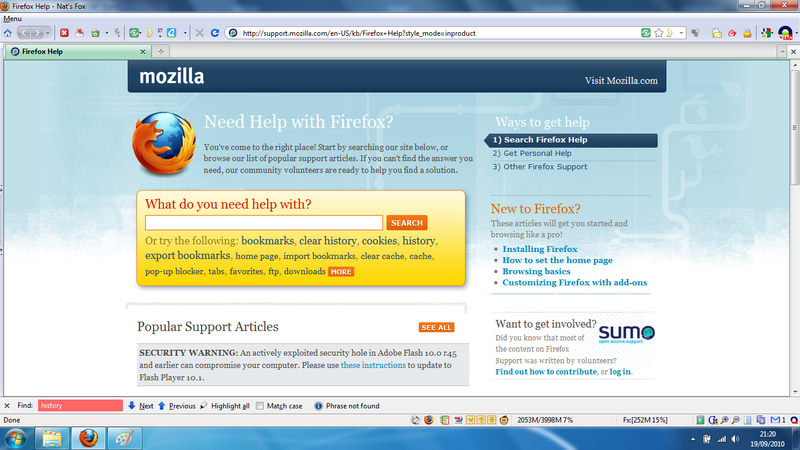 One key apparently summoned the Firefox help screen. I liked the big yellow box "What do you need help with?". I was quite tempted to try inputting "My kitten has walked over the keyboard and messed up the screen layout".